In January, NYC assembly woman Linda Rosenthal wanted to stop coyote raffle hunting. Calling it a "Game of Glory" and mocking hunters as "blood lust to kill". Recently I received this article from a hunting buddy. I love pheasant hunting. Make your voice heard, write/email your local assembly representative. "A NYC assemblywoman just released a potentially harmful bill during regular sessions of the NY State Assembly. This bill would prohibit the state’s participation in artificial pheasant propagation activities. Rosenthal has a long history of attacking sportsman, and she isn’t going to give up anytime soon. Interestingly when you look at the legislation she’s been involved with, at the start of her career she wasn’t as motivated to attack sportsman and gun owners. She has a long history of being passionate about rent regulations, adult care facilities and wetlands. She has had a great deal of things I could get behind regarding the environment, health care, schools, pharma, etc. Something happened though, in recent years she’s going hard at animal owners, sportsman, and gun owners. I want everyone to look at the bottom of this page to see the legislation she’s had a hand in. This is just a list of what I could find. I left out so many things that I didn’t think were applicable to the sportsman argument. I hope that she continues to do good work, and also that she begins to see the importance of sportsman and our lifestyles and contributions. If you look this stuff up, and see the history of her legislation and those like her, you will see what we are up against. But this article isn’t wholly about Rosenthal, it’s about the bill she proposes. 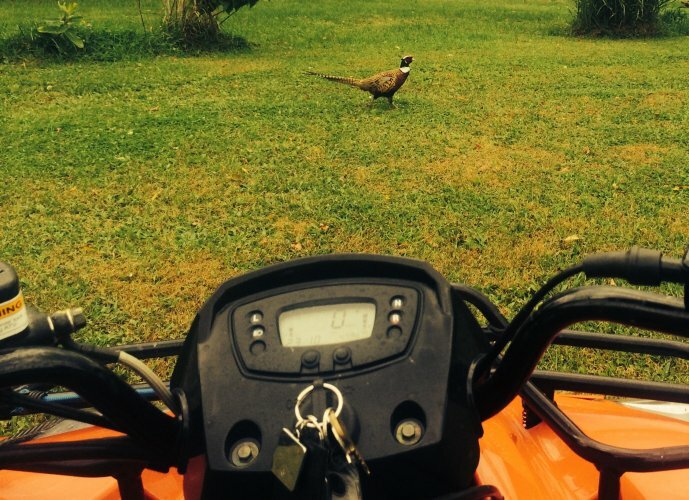 The Pheasant program has been around a long time and its loved by sportsman throughout NY. The Adult Pheasant Release Program, or APRP releases about 30,000 pheasant annually for the fall stocking program in more than 100 public hunting lands. They are also released for special sponsored pheasant hunts for youth, people with disabilities, women, and novice hunters. In addition to the APRP, the state has the DOCP or the Day Old Chick Program. This program provides days old pheasant chicks to raise and release at no expense to the DEC beyond hatching. These birds are then released into approved areas as approved through the application process. Program participants include 4-H youth, sportsmen clubs and county federations, landowners, NYS Department of Corrections, and other individuals. DOCP cooperators allow pheasant hunting on hundreds of sites and thousands of acres of privately owned lands. Home base for the APRP and the DOCP is the Reynolds Game Farm in Ithaca. It is the state’s only pheasant production facilityand has been in operation since 1927. What this means is that the bill aims to shut down this facility specifically, it’s not a blanket bill. All pheasants distributed through DEC programs are released on land open to the public for pheasant hunting. Private landowners allow pheasant hunting on thousands of acres through these programs. The annual operating budget for the game farm is approximately $750,000, including pheasant propagation, program administration, annual facility maintenance, and most of the pheasant distribution costs. The game farm currently has four full-time permanent staff. It employs up to ten additional temporary staff during the peak of propagation activities (March-November). Game farm staff function as a nearly self-contained administrative unit, responsible for program coordination statewide as well as safe and efficient operation and maintenance of all game farm hatching and brooding facilities, outdoor rearing pens, and office and garage spaces. Permanent staff purchase equipment and supplies, process invoices and expense accounts, and hire, train, and supervise seasonal staff. Staff also provide educational programs to local school groups and sportsmen’s clubs. The game farm receives a high volume of telephone calls and Department website requests for information. Staff distribute a variety of literature about pheasant habitat and pheasant propagation programs. The game farm has served as a central location for various other DEC programs such as Chronic Wasting Disease testing and the River Otter Restoration Project. Over the years, the game farm has participated and supported numerous research projects with Cornell University either directly or indirectly. The game farm conference room remains a prime meeting place for DEC teams from across the state. The pheasant propagation program reaches thousands of New Yorker’s by providing hunting and viewing opportunities. First and foremost, it provides sportsmen and sportswomen the opportunity to enjoy an open field hunting experience that is gradually disappearing with changing land use patterns across the state. The program provides access to thousands of acres of old fields and cropland where hunters can go afield and hunt pheasants. Many hunters across the state own and care for hunting dogs that are specially trained to hunt pheasants or other game birds of open fields. The cooperator programs also provide a means for youth and adults to learn about the husbandry and natural history of pheasants, with an incentive to expand areas open for public hunting and to improve habitat for grassland wildlife species. Youth and adults spend hours caring for and releasing birds propagated through the state cooperator programs. The state propagation program provides quality disease-free birds and outstanding customer service to its constituents. As sportsmen, it’s important that we stand up to the constant attacks on our way of life. Unfortunately it seems like it always comes from the city, they don’t understand our culture or the lifestyles of those people who don’t wish to spend all of their time in the concrete jungle. This bill will be damaging to our sport, our culture and our lifestyle. Not to mention jobs and the entire pheasant program. It’s a classic slippery slope. This isn’t the first time they have tried this one and it won’t be the last. Now more than ever is the time to make your voice heard. Write letters or emails to your local assembly representative, you can find your district according to the NY assembly district map below. Let them know you do not support A600. I have been vocal about this on facebook and it’s receiving good feedback, let’s keep the ball rolling and stand up for what we believe." link for a DRAFT LETTERwhich you are welcome to download, edit, and use for yourself. If you want to look up bills you can visit the following link. Last edited by maki00; 03-16-2019 at 10:53 AM. alawrence, Reload, smoke-eater and 5 others like this. I've got mixed feelings about the pheasant stocking program as it is purely put and take. Might sportsman be better off if the funds were spent improving small game habitat on public lands? Of course this legislation is not what that's about. smoke-eater, shawlerbrook, graymustang and 5 others like this. I have long held the same thoughts about New Jersey's trout stocking program. It's all about boosting trout stamp sales. NJ Fish&Game releases rainbow and golden trout into lakes (actually shallow mud holes) where they cannot possibly survive once summer temperatures heat the water and reduce the already low O2 levels. It is simply "put and take", as you say. The Mrs. and I enjoy fresh water fishing and buy our licenses every year, but never buy a trout stamp, out of principle. However, this legislation would set a dangerous precedent - removing the decision-making from wildlife biologists and putting it into the hands of anti-hunting politicians. shawlerbrook, gunscrewguy, Vooch and 3 others like this. I see your points Vooch and smoke, but the pheasant program keeps many that only hunt upland game birds involved in our sport. The way numbers are declining, we must hold our nose and support anything that keeps people hunting. gunscrewguy, smoke-eater, maki00 and 6 others like this. One other thing to consider, how many of those stocked birds manage to survive the hunting season to contribute to the wild population? Also, since it appears from the article that the cost to the state is minimal, the revenue from the increased license sales can be used wherever needed for all game animals. No money, no game management, no hunting. I, too, have mixed thoughts about the broad idea, but there are (or can be) advantages to it. As others have said, this is bill is a bad idea, and sets a dangerous precedent. gunscrewguy, maki00, shawlerbrook and 4 others like this. I never had any luck hunting pheasants in New Yauk City anyway. Last edited by gunscrewguy; 03-16-2019 at 07:03 PM. smoke-eater, shawlerbrook, Vooch and 6 others like this. Couldn't agree more. And those pen-raised birds taste just as good as the wild ones. In south Jersey, released pheasants are the only remaining option for upland hunters. There really isn't a wild bird population any longer. Since I was a kid my passion was quail hunting. The season on them was closed about 10 years ago because of declining numbers, and I haven't heard the call of a quail in a long time. Some released pheasants do survive the season. When I used to do controlled burns with the NJ Forest Fire Service in late winter (before nesting time), we would flush a few birds from each field. maki00, shawlerbrook, gunscrewguy and 5 others like this. Maybe I'm reading into this a little too deep. But she and others like her are anti-gun. They want to bans all guns. IMO, it's not just about the hunting..They already tried the front door and it didn't work, now they're trying the back door. They tried to take our AR15's. calling it a military weapon and such. We argued that it wasn't and that it's a good hunting rifle (hunter's choice). So now their chipping away at hunting... In January they complained about coyote hunting, now it's pheasant hunting, what's next. If we can't hunt.. then they'll say you don't need guns. But maybe I'm reading too much into this. But then again, we have Cuomo for a governor and I don't trust anything he has to say. As the article stated.. what the hell does these NYC politicians know about hunting or conservation. They never hunted a day in their life. Hunting is a long tradition. Passed down from generation to generation. Now these idiots think they can take it away from us just because they don't like it. I enjoy pheasant hunting. without the program, pheasant hunting would not exist in my area. The birds would not be able to survive (winter & predators) here. Last edited by maki00; 03-16-2019 at 06:15 PM. shawlerbrook, gunscrewguy, smoke-eater and 5 others like this. I dont mind stocking birds. besides some fly across a canal where I shoot a few every year. gunscrewguy, Vooch, shawlerbrook and 4 others like this. gunscrewguy, smoke-eater, shawlerbrook and 3 others like this.